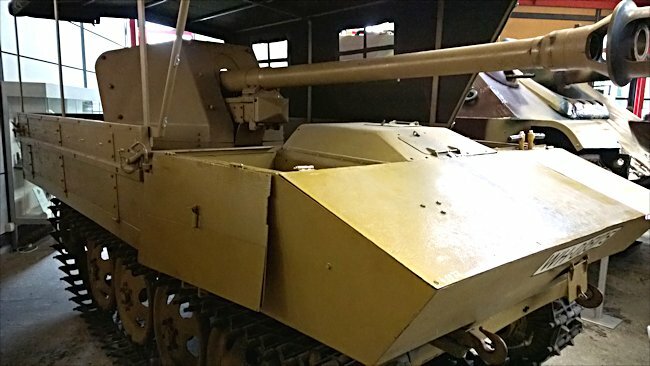 This preserved WW2 Raupenschlepper Ost RSO 75mm PaK 40 Tank Destroyer can be found at the German Tank Museum in the small military town of Munster, Germany. The German army needed to get a big anti-tank gun onto tracked vehicle fast. In the Russian counter attacks of 1941 their tanks have been totally outmatched by the new advanced Soviet armoured fighting vehicles like the KV-1 heavy tank and the T34/76 medium tank. They completely outclassed German panzer tanks. The shells fired from the German tank guns just bounced off the front armour of these new tanks. The German infantry 75mm PaK 40/1 anti-tank field gun could penetrate the Soviet tank's armour but could not be fitted into a turret of the Panzer 38(t), Mark III or Mark IV tank. What most people forget when they read about the early battles of World War II is that most of the guns, supplies and ammunition, were transported to the battlefront by horses. The German senior command soon found out that horsepower was not fast enough to keep up with their blitzkrieg attacks. The sides on the RSO Pak 40 Tank Destroyer unbolted and folded down flat to make a large gun platform for the crew. The rain cover could also be removed. 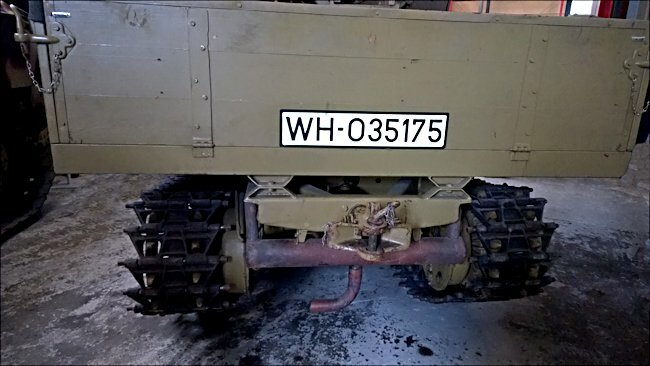 They needed a stop gap method of putting a big gun, that could stop a Soviet tank, on the back of a tracked vehicle, whilst new heavier tanks were being designed, prototyped and put into production. 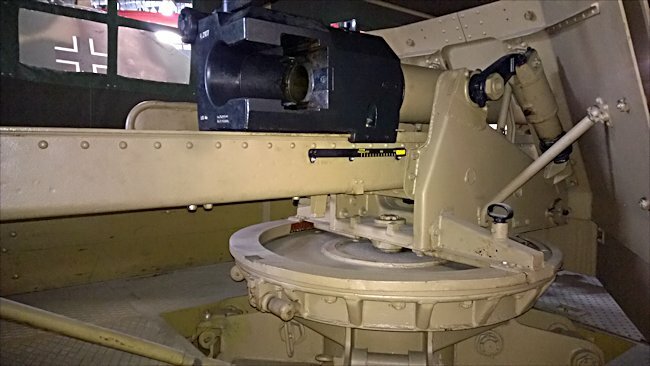 The idea of using self-propelled guns became a reality. The German artillery units were already using a fully tracked light weight lorry to tow their 105mm howitzer. It was called Raupenschlepper Ost, which translated means 'Caterpillar Tractor East', east referring to the Russian front. It was usually abbreviated to just RSO. German engineers had based their design on the prewar British Vickers artillery tractors. The RSO/PaK 40 was intended as an infantry support self-propelled anti-tank gun, but due to the devastating losses inflicted on armoured units, they were sent as replacement support guns to Panzer Divisions like the Panzer Jager Abteilungen 743 and 744, and 18th Panzergrenadier Division. A battlefield report regarding the use of the 75mm PaK 40/4 Raupenschlepper Ost Selbstfahrlafette by German Army Group South in Russia 1943, declared the vehicle 'useful'. This positive appraisal was given even though it was slow and offered very poor armoured protection for the crew. Because of this report, approval was given for the large-scale production of the RSO/PaK 40. I believe this positive report was sent back to Germany because the troops at the front line wanted as many hard-hitting, Russian tank killing, guns as they could get their hands on. Yes they would prefer better tanks and Jagpanzers, but they knew they were not ready yet. Fighting units on the Russian front just wanted a way of delivering knockout punches to the enemy's waves of armour. The other reason it got a glowing report was that it could handle the horrendous conditions often encountered on the Russian front. It had a very high ground clearance of 55cm just under 2 foot, which allowed this self-propelled gun to keep going through mud and snow which would have bogged down horse-drawn anti-tank guns. It had a crew of four men to work the gun. The vehicle could carry 25 rounds. It only had a road speed of 17km/h cross-country speed of 14km/h, which was a great disadvantage. It had a range of between 250-300 km. From the back, this self-propelled gun looks more like an agricultural vehicle. To get it ready for action the wooden sides were dropped down to make a larger fighting platform. This meant that the gun could have a full 360° traverse. It did not have the gun traverse limitations of the fully enclosed armoured jagdpanzer IV, StuG III or Jagdpanther. When it arrived at the front line, it could be deployed for action quickly, unlike a horse-drawn anti-tank gun. In foul weather a canvas cover could be erected over the gun to offer protection from the elements for the crew. 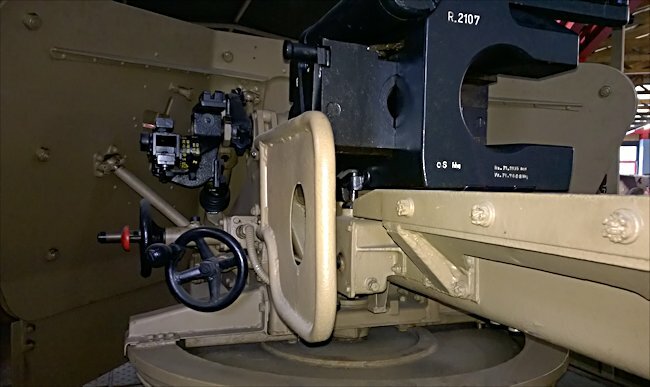 To get better elevation on the gun, the crew found that by driving one track over a boulder or a log they could park the vehicle at an angle and increase the guns elevation. Manufacturers Steyr, Auto-Union, Graf and Stift and KHD/Magirus built different variants of the RSOs. A batch of 60 were built by Steyr Daimler Puch in September - October 1943 for service trials with Army Group South and although Hitler was very enthusiastic about them and although a build schedule of 60 in March 100 in April 150 in May 200 in june and rising to 400 a month in July 1944 no further examples were built -they were more a reaction to the failure at Kursk of large vaunted weapons and were thought to be necessary for a Manstein style fighting defence. 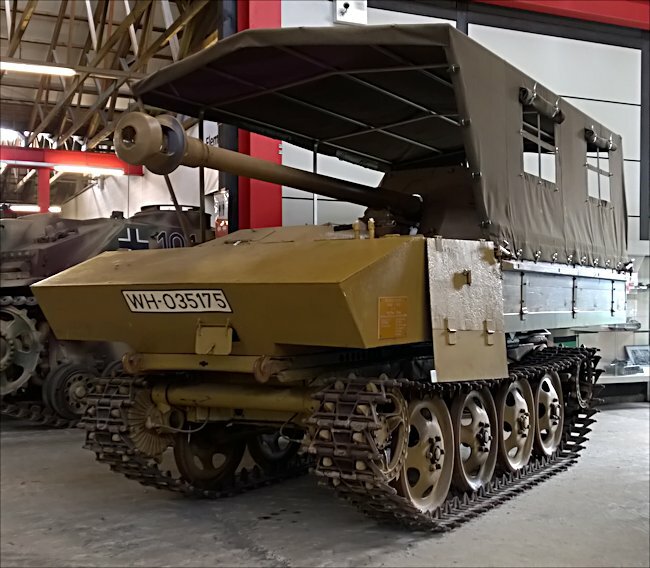 Where can I find preserved Raupenschlepper Ost RSO Pak 40 Tank Destroyers?